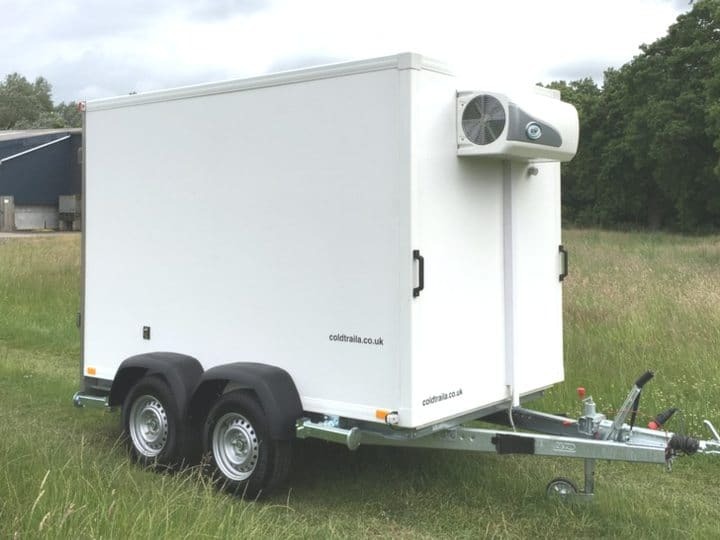 Mobile fridge and freezer trailers, UK major supplier. From the UK’s NUMBER ONE supplier. The UK’s NUMBER ONE supplier. Rent or buy refrigerated trailers and freezer trailers nationwide. Best price, best spec, top service. 24/7 support. Failed cold-room? Trailer in a rush? Phone Ross NOW! Heavy-duty with surplus cooling power – rapid temperature recovery. ‘Al-ko’ hot dipped, welded, galvanised, long beam. Rubber torsion axles – towing stability. Joint-less ‘Pur Ferro’ high-efficiency insulated single panels. Non-slip insulated floor and aluminium skirting. 15″ no-maintenance wheels and bearings. Full-width lockable double doors, s/s hinges, rain deflector. Heavy duty, telescopic, wind-down. Up to 6,000kg. 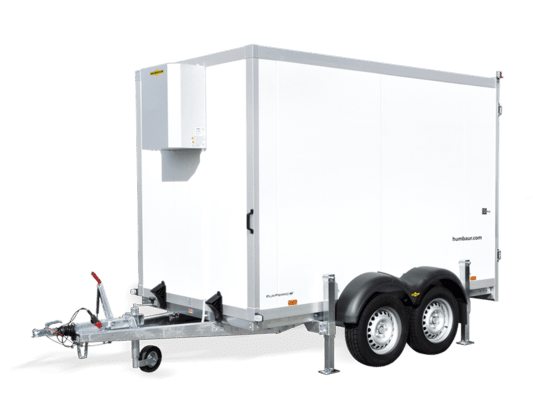 High-quality mobile fridge trailers and freezer trailers (these can chill too). From 2.5 to 5 metres. NEW SPECIAL WARRANTIES ON CHILLER UNITS. Refrigerated game trailers, butchery and carcase trailers with hanging rail systems. We also have pre-owned refrigerated trailers, and vending and exhibition mobile trailers. We’re proud of our nationwide delivery, friendly service, 12 months warranty for new trailers, and technical support. Tell us your queries. We're always available. Use the form, email or phone. © Copyright Cotswold Farm Services 2019.